Sign up for our newsletter at https://Evolvement.io. Evolvement is a podcast hosted by Nye that revolves around Bitcoin, cryptocurrency, blockchain technology, and how these play a role in the current financial models and economic systems of the world. In this episode, I sit down with Neyman from Unification.com to discuss the REAL potential of blockchain technology and how we can make it great again. 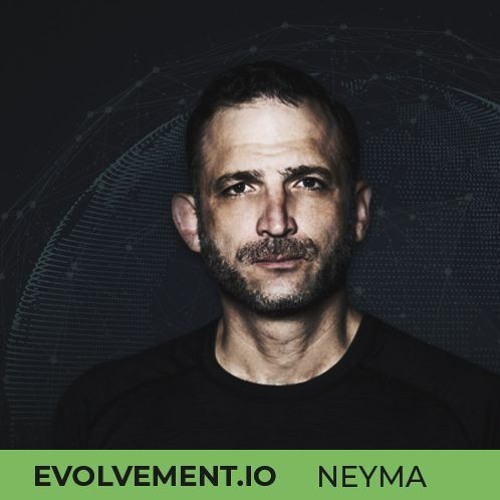 Neyman has a very unique perspective on how all this can function and he is building out the infrastructure to help it reach its full potential. In this episode, we discuss how private vs. public blockchains will function in the future and why it’s important to have both separated, especially for scaling issues. Beyond that, we discuss the future of fundraising for blockchain projects and whether or not ICOs have a future ahead of them. You can learn more about Neyma and his work at Unification.com. Also, thank you to our sponsors, Verasity.io and Resistance.io for supporting the podcast via sponsorship and allowing me to improve the quality of content I bring to the audience. It is beyond appreciated. Timestamps 1:50 - Who are you and how did you get into crypto? 6:25 - What is the immediate usecase for blockchain? 10:25 - Do you think we can utilize blockchain tech at the same time as having speculative investments? 16:20 - What is the specific use case of this? 21:00 - What do you think is going to be an effective use for blockchain industry wise? 29:02 - How do private and public blockchains work together? 31:57 - What are the benefits for consumers? 33:00 - Do you think that the ICO model is dead? 37:20 - Are we going to be seeing more equity raises? 40:33 - What do you think the future holds for something like this? 43:10 - What is Unification?